Hugh Jackman stars in The Greatest Showman as P.T. Barnum, the man who starts the circus now known as the Ringling Bros Barnum and Bailey Circus. As Barnum sets up his circus he must contend with bigotry and family drama that threatens to upset his career and his marriage. The plot of the movie is fairly predictable for a musical and even more so given the source material. It comes as no surprise that Barnum’s circus is successful. The weak plot leaves the enjoyment of the movie not in the story but in the storytelling. How good are the songs, the dances, the costumes, and the acting? 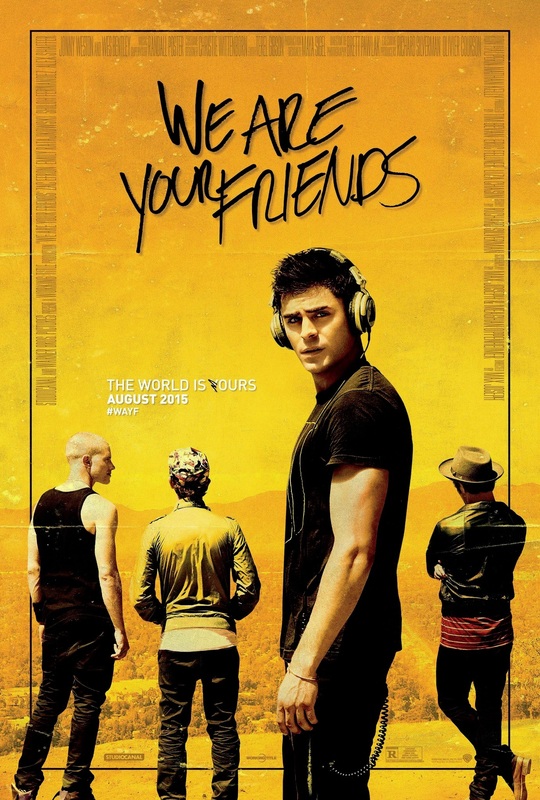 My wife and I went to see We Are Your Friends last weekend. The movie title was often abbreviated as WAYF in the trailers. My wife and I were excited to see WAYF for two reasons. 1. We’ve been fans of Zac Efron since High School Musical 3 came out because the movie parallels our lives. Zac Efron plays, Cole, the lead in WAYF. 2. My wife and I watch the TV show, Catfish. The deuteragonist of Catfish, Max Joseph, directed WAYF. Going into the theater we already had two big names pulling us in. The trailers for the movie don’t tell you much about the plot, so I’ll have to fill you in. Cole is an aspiring DJ who lives in San Fernando Valley, just outside of LA. He and his poor friends want to make it big, but they’re clueless on how to do that. Cole meets James Reed at a club. James is a DJ who made it big. He takes Cole on as an apprentice. Cole becomes attracted to James’s assistant, Sophie, whom James is sleeping with. Drama ensues and that’s the movie. My overall impression of the movie was very good. The music is decent. It’s not the genre of music I’m usually into so I can’t be a good judge of it. The directing/acting was amazing. The characters do start to feel like real people with real reactions to their situations. The cinematography is stellar. Every shot has a purpose in the movie and either looks beautiful or looks distorted due to some of the drugs that Cole has taken. Which brings me to the large amount of drugs, tobacco, and alcohol the characters use in practically every scene. The only times they aren’t using something is when they’re hungover. This may be an accurate portrayal of the characters’ life styles, but it was so far removed from my own that I didn’t really sympathize with the main characters. The movie also had some cool animation sequences to go along with the drugs. Those parts were “trippy” as expected. The crowd for the movie was interesting as well. We got there on opening night and only about fifteen people were in the theater. I’d expected way more! The crowd was pleased when Cole said he’d gotten an scholarship to UC Davis for running track, but he hadn’t taken it. Woohoo! Davis! Anyways, the movie is good drama in my mind, but judging by the crowds (and other reviews I’ve read), other people might not think so. I’d recommend it for anybody looking for a good stressful drama movie. Or if you want to know what taking PCP might look like. Either way is fine.